“Rust Never Sleeps” It’s better to burn out than it is to rust…. The baby boomer covered hopper edition. I thought it would be appropriate to borrow an album title from Neil Young. He is a model railroader and a fine musician. Music means a lot to me and I have very intense feelings about it. My favorite radio station is Chicago’s WXRT which plays progressive Rock and has been since the early ‘70s. During a recent “Panic Modeling” attack the week before the “All American Model Railroad Show” in Lagrange Illinois, I had the stereo tuned to 93.1 FM. It was also more convenient than loading up a bunch of CDs. 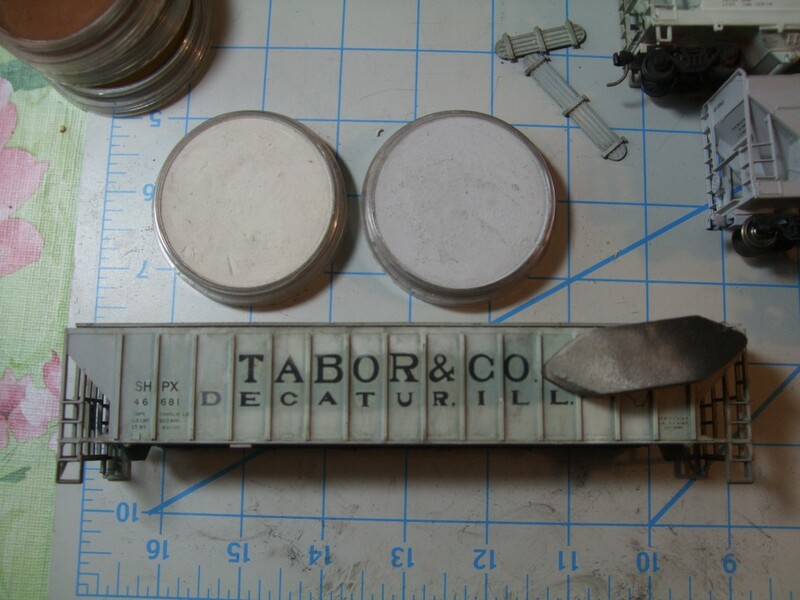 Speaking of convenience, I was in fact weathering with my PanPastel® on the dining room table. 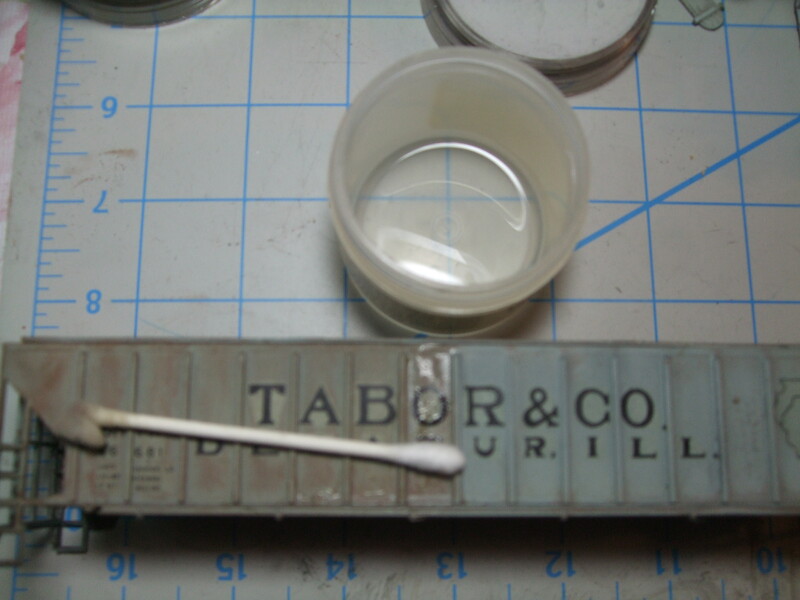 Hard at work on the dining room table, scrubbing with 90% Isopropyl alcohol and paper towel. 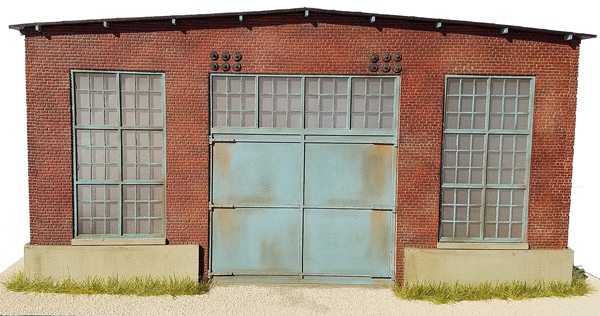 Some of the paint was enhanced with more PanPastel® Paynes Grey Tint 840.8 (a close enough match). This filled in areas that were damaged during the cleaning. 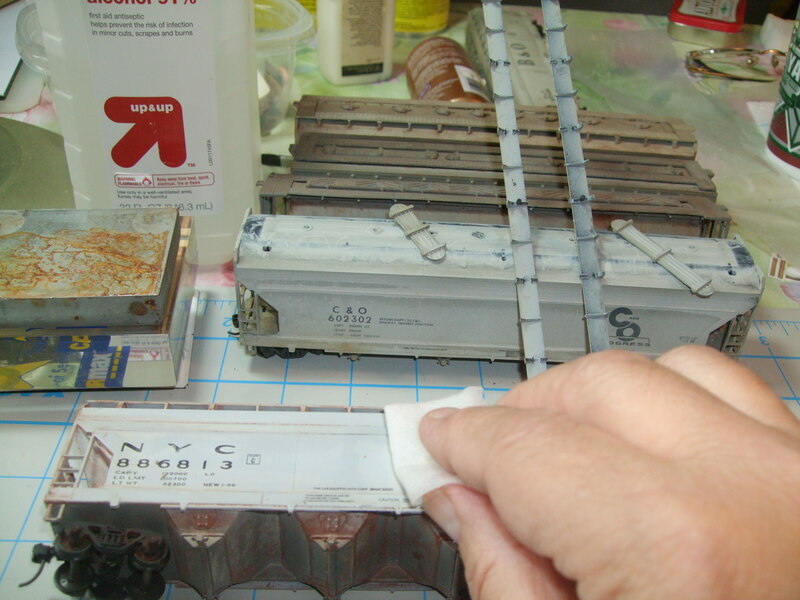 It’s also a method to introduce fading paint to your weathering repertorie. We’ll cover this in more detail in a later blog. Cleaning with Alcohol and a cotton swab. I feel like the art restoration people. 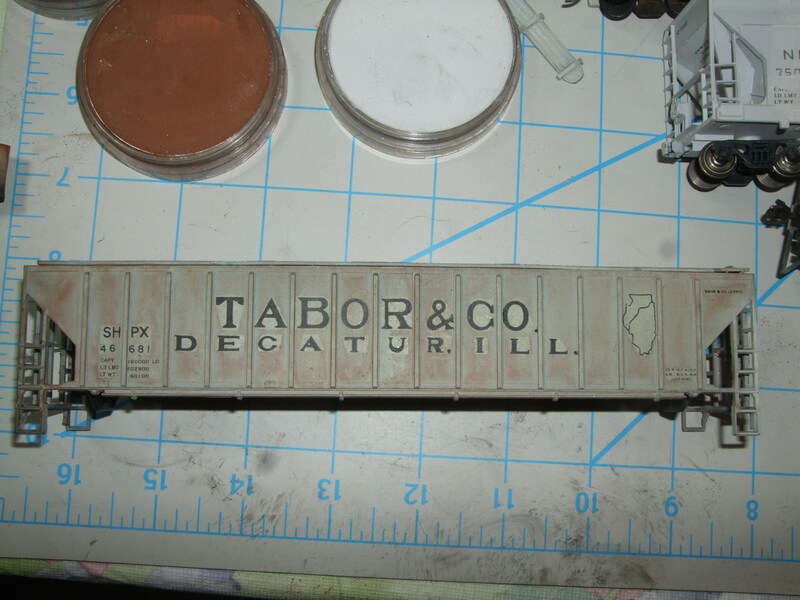 There is some decal blush visible because the decals were applied directly to flat paint. They should always be applied to a glossy finish and flatted later. 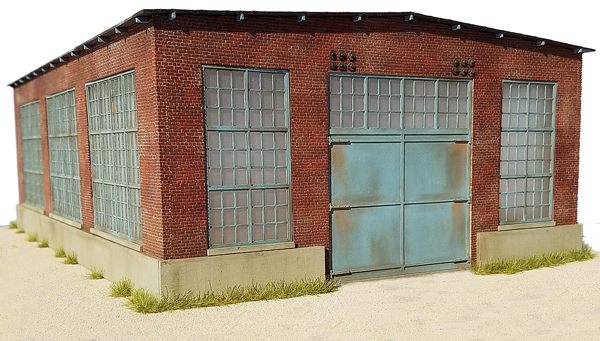 Our topic of discussion today is rust. It’s a really broad subject and I am going to cover as much as possible in this space.